This week my crochet has been a bit lacking unfortunately. I think I overdid it weekend before last working on my contribution to the 'Wool Against Weapons' scarf. Please do read more about this here. With support form the CND, the aim is to join a (pink!) 7 mile long scarf to protest about the UK's ongoing involvement in nuclear weapons. The pieces are supposed to be 60cm wide and a meter long. I managed half over three days, so no wonder my wrists were sore (as some of you may know I have to be a bit careful with my wrists now after an overuse injury caused by too much crochet). Not only are my wrists a bit sore, but I think it is the worst piece of crochet I have ever done! See how it is curved at the bottom? This is a combination of the chain stitch being too tight, and not counting stitches properly at all. 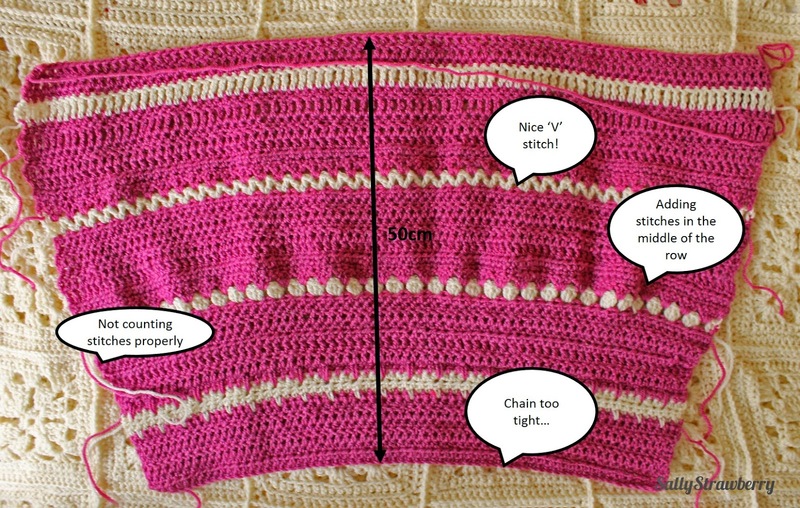 I have also managed to increase and decrease randomly throughout when adding the more fancy stitches in the white. I really hope I get it finished in the next week or so in time for the deadline. If not, Chloe gets a new blanket! Photo by my sister on her iPhone I do believe. In other things, I'm currently writing up the pattern for my diamond hat, and waiting the opportunity to have a little photo shoot for my flower scarf. 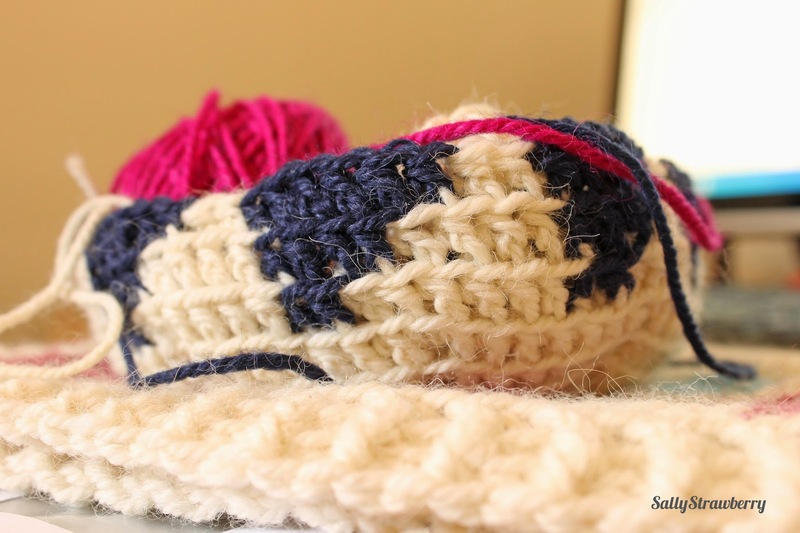 I can't wait to share these two patterns with you once they are complete! I'm linking up with Ginny over on Small things today. Pop across and see what everyone else has been making. I really want to make Granny Squares do you have a certain pattern you follow? :) They look great!